You can select your Image Size – this is the size of the actual image file – in the Control Panel or on individual items. You can choose from any registered image size. These include the standard image sizes registered by WordPress, image sizes registered by your theme, and image sizes registered by other plugins. If you want, you can create a specific image size for your menu. You can do this either through a line of PHP or through a plugin. You can also lazy load your images. This means that the images in a submenu won’t be loaded until that submenu is opened. 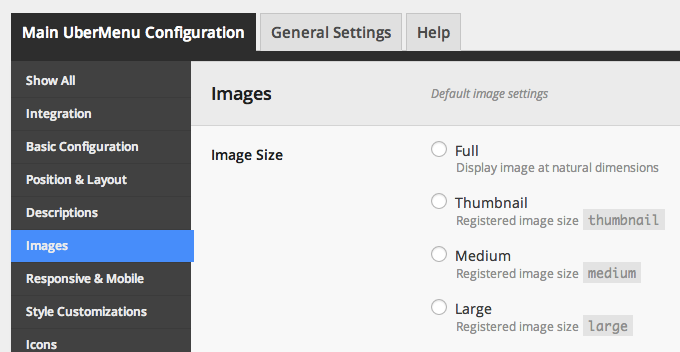 You can find this setting in the Control Panel > Main UberMenu Configuration > Images > Lazy Load Images. This will save you from loading all the images at page load. Consider using an image compression tool like WP Smush.it to compress your images to their smallest possible weight (in KB). Sending fewer bytes over the wire will decrease site load times.